If you like DACs then you now live in a time of plenty. I don't think there have ever been as many on the market as today, and the choice of options is incredible. The time that a DAC would just have SPDIF in and analogue out is gone. 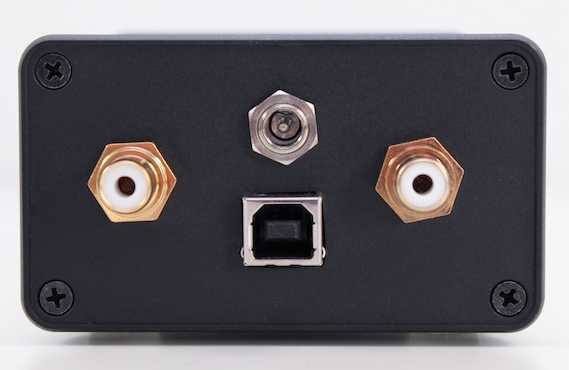 Most will still have coaxial SPDIF, but in addition there will be TOSLINK, AES, USB, network, hard-disk, airplay, Bluetooth and other options. There are now even DACS that don't have an SPDIF input at all. The JKDAC32 is one of them, offering only USB as input, and only RCA analogue output. It almost feels old-fashioned, but is actually rather modern in its approach. This DAC is solely for computer audio and nothing else. For many people that is just fine, and it allows for excellent value for money. John Kenny is based in Ireland and started making USB to SPDIF converters a few years ago. His designs are based on the HiFace chip, enabling an asynchronous USB connection. This minimises jitter and, theoretically, turns any computer into a high quality digital transport. The step to add a DAC chip to the design is a logical one, resulting in an asynchronous USB DAC. The JKDAC32 under review here is the second incarnation, utilising a PCM5102 chip instead of the Sabre chip in the first design. It has a maximum resolution of 32 bit at 192 kHz, so should be compatible with anything you care to throw at it. The special thing about this DAC is the way it is powered, it is powered from battery. It does take some power from the computers USB port, but only to power the internal battery charger. For starters there's a normal 5 volt power input connector on the DAC, not a USB connector, but it does come with a USB-to-power cable that enables you to use a second USB port on your computer to power the DAC from. This separates signal and power, which should be a good thing. But this is not all, because the JKDAC32 is actually battery powered, and the 5 volt input is just for the charger. It can run for up to 20 hours on batteries before it needs recharging. The only catch is that it uses LiFeP04 batteries which should never be completely depleted, and there's no protection against this, so you'll have to pay attention. Leave it switched on without the charger being switched on too and you can damage the batteries. The recommended mode of operation is to always keep it connected to the power supply and keep the charger switched on at all times. 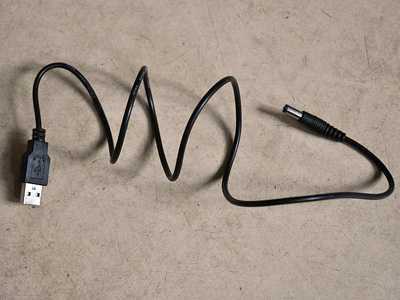 This will not degrade the sound quality. You could ask what the point of battery power is when it still needs to be connected, but LiFeP04 batteries are actually very good at delivering high power, so are a good choice for the power supply anyway. One annoying thing is that the red light on the charger button will light up whenever the power supply is connected, even when the charger is actually switched off! This can easily lead to mistakes, so this is a DAC that will need some care and attention from its owner. I had some initial problems getting decent sound out of my Mac mini and the JKDAC32, but once everything was set up correctly it sounded fine. Bass is tighter and slightly stronger than with my Astin Trew AT3500plus CD player, but the Astin Trew has a more refined top end and a slightly richer and more fluid presentation. Not really fair, as the Astin Trew costs more than 4 times the price of the JKDAC32, and still about double what you'd have to pay for the complete Mac+DAC setup. Given that price difference the JKDAC32 was actually a pretty impressive performer. I also compared it to the Benchmark DAC1, connected to the same Mac mini. 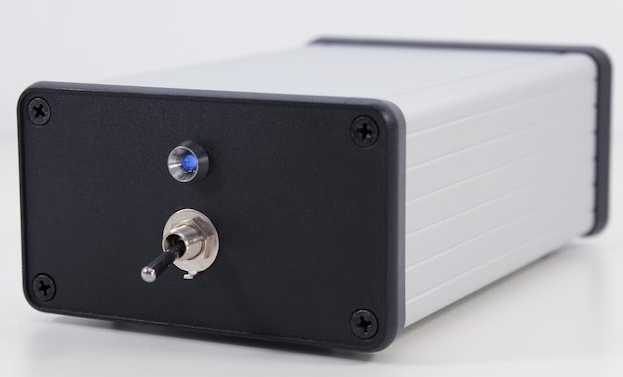 The Benchmark uses a synchronous USB connection, which in theory should produce more jitter but in practice this didn't seem to be a problem as the Benchmark sounded about as good as the JKDAC. The Benchmark is slightly drier and can sound a bit matter-of-fact compared to the silky Astin Trew or the more enthusiastic JKDAC32, but it would mostly be a matter of personal taste which DAC you'd prefer, even if I thought the Benchmark won the day in the end but only by a small margin. Again, this is pretty impressive as the Benchmark is about twice the price of the John Kenny DAC. It does have more option, though, with even a headphone amp built in. To get a better impression I took the JKDAC32 to a friend who uses a Rega DAC with his computer audio system. He wasn't completely happy with the Rega, so he is using it with a Musical Fidelity V-Link USB drive. The V-Link is basically similar to the product that John Kenny started his company with, but made by MF. It turns the Rega from a synchronous USB DAC into an asynchronous USB DAC and did indeed improve the sound in my friend's system. Compared to the two box solution with the V-Link and the Rega DAC the tiny JKDAC32 does look extremely elegant: just a single box connected to only the computer and the amp. Soundwise, the Rega was a bit warmer, with more bass, and tracks that needed that extra bottom end did benefit, but the JKDAC32 produced much better mids and high frequencies, with more refinement. The whole sound from the JKDAC32 was more consistent, less mechanical and easier on the ear. The Rega's soundstage was distinctly left-right, while the JKDAC32 was able to project central images that were solid and well placed, resulting in a much more convincing spatial reproduction. To my ears it was an easy win for the JKDAC32, as it is even cheaper than the Rega DAC. Most importantly, the JKDAC32 doesn't seem to have obvious flaws. It is one thing to make a DAC that sounds dynamic and lively, or smooth and warm for that matter, but it is more difficult to create something that has no real weak points and still sounds good. To my ears, the JKDAC32 is about as neutral and even-handed as it gets at this price level, and still manages to avoid sounding boring or flat. Even including the cost of a computer, this represents good sonic value for money for a digital source. Very basic and coming with a bit of a warning to keep an eye on the batteries, this DAC nevertheless represents good value for money. It sounds very clear and clean while still being musical and engaging. It has more refinement than I expected at this price level. If you're into computer audio this is definitely a DAC to check out. While reviewing the Human Audio Tabla/Mutu, I came across the JKDAC32 that appeared to have a very similar specification. I thought that a comparison of the two would be of interest, and contacted John Kenny only to discover that Maarten had beaten me to it. However, JK was also keen on the idea of a comparison, and managed to get a review sample to me within a few days. As this is a second opinion, I won't go into details about the specification of the JKDAC32 as there are ample details on the JK site, and JK himself doesn't wish to reveal any more about what is inside. But from the information that is available, it does appear that this USB DAC is of a very similar specification to the Tabla/Mutu, but with the USB converter and DAC in one case instead of two. Instead of the Hammond style case of the JKDAC32, the Human Audio Tabla and Mutu units come in custom made cases that stand vertically, thus taking up little more space. They also have a raft of lights to indicate battery condition, signal lock, source. My comments on the sound of the JKDAC32 (and Tabla/Mutu) are based on using them with a laptop running Windows 8 with JPlay Mini. The DACs were connected to various amplifiers via an optical volume control. Perhaps the first thing that I would say about the JKDAC32 is that it sounds more analogue (or less digital? - take your pick) than most of the digital sources I've been used to. How much of that is down to the off-grid (battery) power supply, and how much is due to the components and design I can't say. What I can say is that the usual trade-off with battery-powered kit that I have noticed before, ie a little soft and not really suited to rock music, wasn't there with this DAC or the Tabla/Mutu. Both use LiFeP04 batteries, and they appear to work much better with hi-fi than the types used previously (subject to the warning Maarten made about not letting them become completely discharged). In use, I found the DACs all worked for longer than a typical listening session before they needed recharging, and it was good that even when the battery was low, I could plug in the charger and keep playing music. In fact I soon kept the charger connected at all times. I could hear a slight difference between the JKDAC32 and the TablaMutu but not enough to make me confident of telling the two apart in a blind-listening test. No doubt the difference is down to the output stages. I couldn't say the sound of one was better than the other, and I would happily live with either. OK, if I was pressed to make a choice, I would go for the JKDAC32 because its signature is more akin to my Scott Nixon DacKit. The 'analogue' sound doesn't come at the expense of detail or sharpness. I keep being amazed at how much more clearly I can discern lyrics as these DACs get better. The Q-sound effects on the 'Amused to Death' album were particularly clear too, and where some of the effects fade away into the music, it was easier to hear them for longer. That also applied to the decay of notes on instruments such as piano. The sound stage was well defined, and performers/instruments clearly located within it (with good recordings). There was naturalness about the sound too, with piano sounding quite real. On close-miked recordings the performer appeared to be 'in the room' and there was a good impression of the ambience of the recording location. Rhythm and pace were good, and passed my 'Gracelands' test with ease. The bass is deep, well controlled, and tuneful, and the top end etched and detailed but not so that it is in any way unpleasant to listen to. Moving on to listen to some hi-resolution recordings, I really noticed the difference, perhaps more so than I have done previously. Whether that is as much down to the DAC's, or JPlay I can't say for sure, and it is probably due to a combination of both. I'm still not too hung up on these higher-resolution recordings though and reckon that a well recorded 16 bit track is at least as enjoyable to listen to as a 24 bit one. I certainly haven't listened to a 16/44.1 recording after a 24/192 one and thought "this doesn't sound as good". The exception was with classical music, particularly full orchestral where the extra resolution helped present a much clearer image of the orchestra, thus making it a much more involving experience. All in all, I found it impossible to find anything negative to say about either the JKDAC32 (or the Tabla/Mutu) although sometimes switching from these DAC's to a mains-powered DAC, I did notice that the battery-powered DACs were still very slightly lacking in a bit of slam when it was needed, most noticeably in the bass (guitar and drums) That said, I feel that the advantages of the (LiFeP04) batteries probably outweigh that tiny loss of slam/grunt to a degree where I could live without it. Using both these DAC's I really noticed the benefit of using something like JPlay software that seems to get better with each version. I find that it now integrates well with Foobar2000 so I can listen to hours of music without loading each track separately. JK recommend the use of JPlay to get the best from their USB DAC's. I also noticed that generally WAV files appeared to sound better than FLAC! Summing up, the JKDAC32 is a big step forward from most of the DACs in the same price-range that I have heard before. That I can't say that it sounds inferior to the Tabla/Mutu combination when it costs significantly less is a huge compliment . If you are looking to move up from an entry-level USB DAC, but don't want to spend 'thousands', I would say look no further than this little bargain. Functionally basic, as Maarten says, but far from basic when it comes to sound quality. Thank you for taking the time to review my products. In case the reader thinks that taking care of the battery charging is a bit problematic, the recommended operation is to always leave the red charger button pushed in and the DAC connected to a 5V supply. "The source which exhibits greater stereo ambience and depth is the 'better' one. The source which exhibits more apparent dynamic range is the 'better' one. The source which is less edgy on the high end (the most obvious sonic signature of signal correlated jitter) is the 'better' one." Share this article with your friends on Facebook Facebook!